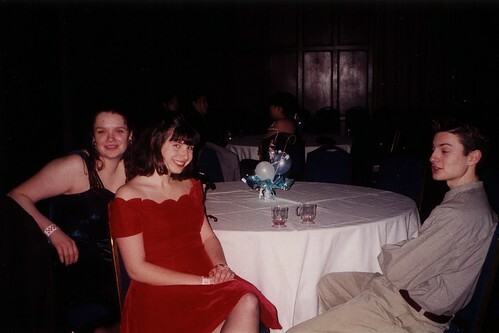 This photo was taken Freshman year, at a Winter Dance at Stockwell Hall at the University of Michigan. I’m the one in red — the center of attention, as always. 🙂 Courtney Donahue lived just down the hall from me. The boy is the brother of Jason, who was dating our friend and co-hallmate, Marianne.